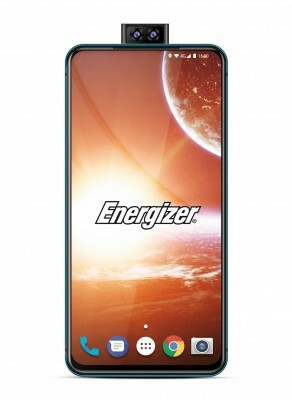 Avenir Telecom is pushing the Energizer brand of phones into a more premium segment with the Ultimate series, but a phone like the Ultimate U620S Pop lacked the brand’s defining characteristic – awesome battery life. The new Energizer Power Max P18K Pop is here to fix that. The P18K stands for an 18,000mAh battery – beating the P16K Pro by an iPhone 8 battery and change. You can take this on extended trips away from the power grid, the phone promises up to 4 days of music playback (non-stop), 2 days of video or up to 50 days of standby. The phone supports 18W quick charging (USB Power Delivery 2.0), vital for battery capacities of this size. You can also use the P18K as a power bank and charge other phones and accessories. As for the phone itself, it uses the same hardware as the U620S Pop, except for the much larger battery (18,000mAh vs. 3,200mAh) and thickness (18mm vs. 10.3mm). “Pop” refers to a pop-up selfie camera – a dual 16MP+2MP shooter. There are three more cameras on the back, 12MP+5MP+2MP, which can shoot 1080p video (no 4K). The Energizer Power Max P18K Pop has a 6.2” 1080p+ screen, which is notch-free thanks to the camera setup and it will show you Android 9 Pie. It’s powered by a MediaTek Helio P70 chipset paired with 6GB of RAM and 128GB storage (plus a microSD slot that can double the storage). There’s a USB-C port on the bottom for charging and wired headphones (no 3.5mm jack). The P18K Pop will be available in June this year. Pricing is unknown for now, but the phone will be at the MWC, along with 25 more Energizer models, so we may get more details then.